Is there anything to say about this part? Well.. yes, there is actually.. 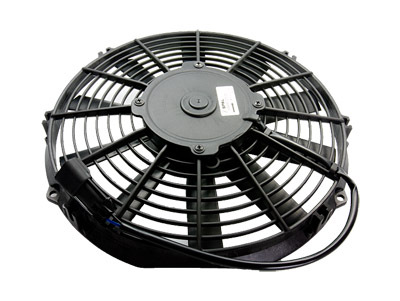 This is the original radiator fan as used on the Lotus Elise, Exige, Europa, VX220 and 340R. Why original when an 'upgraded fan' is available from Spal? Simple.. after seeing several of these uprated fans giving up the ghost, we have done some research and found the reason behind these problems to be the orientation of the fan. In the original fan, dirt would normally not get trapped between the blades and the housing which reduces the risk of burnt coils. Keep it simple, keep it safe.. this is the original fan which actually is very reliable and... it also has the correct connector, so this can be called a real plug and play solution.